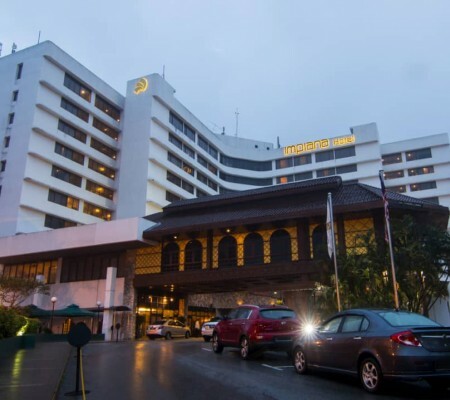 LIVE BAND PERFORMANCE@The Bistro, Impiana Hotel Ipoh starts from 7th November 2018. 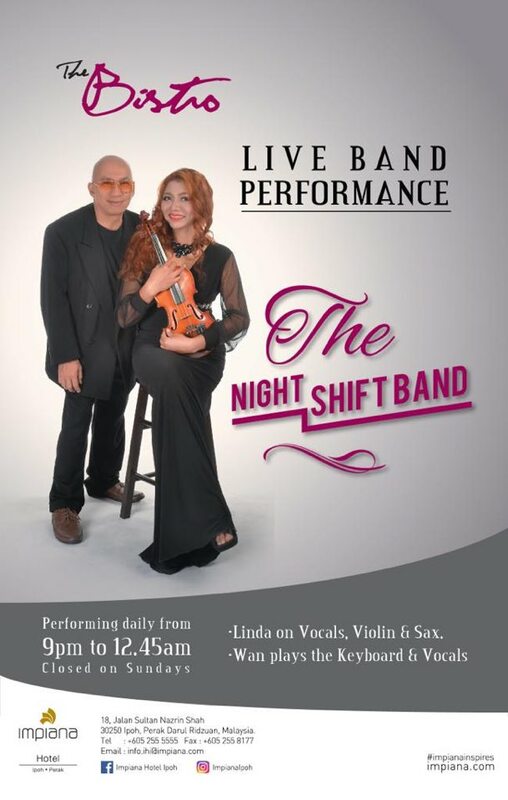 The 2-piece NIGHT SHIFT BAND performs nightly from 9 pm to 12.45am, except Sundays. Linda on vocals, violin & sax while Wan plays the keyboard and backup vocals. Call us at 05-255 555 for reservations or more details.